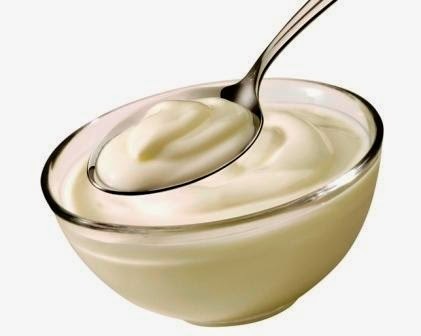 Curd, which is popularly called Yoghourt, is made from milk and has been found to be a very healthy food (drink) for the entire family and population. This wonderful dairy food product is made from fermented milk and has been discovered to be a highly refreshing and therapeutic drink and food. Yoghourt is prepared from the milk of cow especially in Europe and America, and also in Nigeria, while in India, buffalo milk is the most treasured. In Russia however, the milk of sheep, goats and mare are largely used for this purpose for the production of yoghourt. In preparing yoghourt, the purest and best quality milk is used - the milk is boiled for about ten minutes, brought down to be cooled to a lukewarm temperature before it is curdled for making your delicious product and health food. After this, freshly cultured starter is added to the milk and mixed very well; about one teaspoonful of starter is always enough for a quantity of 500 ml. of milk. The all important starter is actually a culture containing yeast or a bacterium that is used to start the process of fermentation or souring in making our yoghourt. This same form of active micro organisms are also added in the processes that are involved in the making of butter or cheese, or dough for baking bread, etc. It takes between 8 to 16 hours for the milk to curdle very well depending on the temperature of the environment in which you are working. In cold weather you might even need to cover the milk with a thick blanket and store in a warm place at the same time to help it; it will thus take a longer time to curdle or coagulate to a firm mass of curd – say about 12 to 16 hours. But in hot weather, the milk will normally take a shorter time to curdle – like 6 to 8 hours will be needed for a good formation. Thus, yoghourt is formed simply by the mixing of bacteria and milk, hence we know that naturally, there are good bacteria as well that are required for the enhancement and preservation of the quality of life of man. Some of these good bacteria are the same that live in or co-habit with animals and human beings at various parts of the body. In reality, they are a beneficial set of bacteria that are found in the intestinal tract of healthy mammals, experts say; they also are often considered to be, or classified as a form of plant life. They are therefore known as probiotics or probiotic flora.